Boost your company’s sales by providing superior customer service, increase staff productivity and reduce call costs with 3CX Pro! 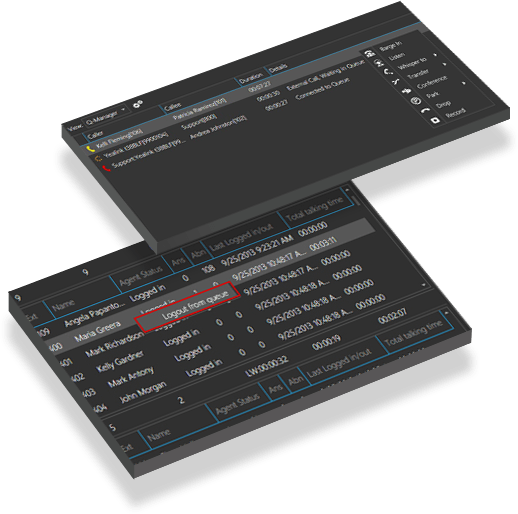 3CX Pro adds advanced call centre features, Exchange/LDAP integration, Salesforce, Dynamics, Exact and more CRM support, cross office presence and better reporting to the standard edition. Review how long your customers have waited in a queue before your employees took the call and see the amount of answered and unanswered calls. Improve customer service by screening calls with the Listen In, Listen In and Whisper and Barge In feature. 3CX will integrate out of the box with some of the largest and widely used CRM, ERP and accounting applications in the world! Display the contact information record on inbound calls as a pop up on the screen. Launch outbound calls directly from the CRM interface with a single click. Traditional proprietary PBX’s with call centre functionality have proven to be either too expensive or difficult to set up. 3CX improves this with 3CX Pro, providing call centre management with the information required to monitor call queues in real-time and ensure that not a single call is lost. 3CX Contact Centre software ensures you provide your customers with quality service, and that your agents always reach their targets. Check the average and longest waiting time as well as the least talk time to guarantee no customer leaves your call centre unsatisfied. 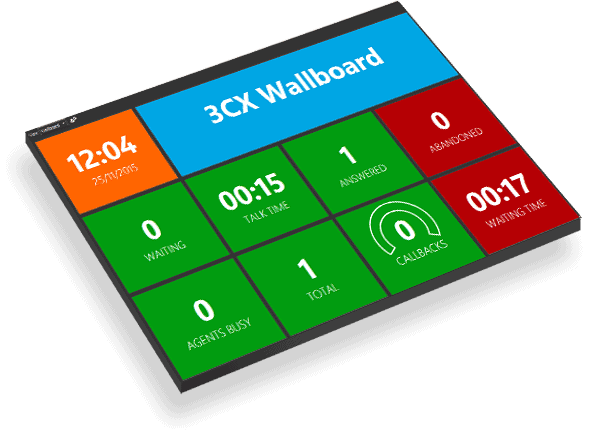 3CX Pro provides you with all the tools required to review your agents’ performance at any given time. Answered calls, abandoned calls, average longest waiting time and more are all in easy reach, allowing you to ensure that your call centre is running smoothly at any given time.